Lintao Zhang/Getty ImagesChina’s Premier Li Keqiang (L) accompanies Japanese Prime Minister Shinzo Abe (R) to view an honour guard during a welcoming ceremony outside the Great Hall of the People on October 26, 2018 in Beijing, China. Japanese Prime Minister Shinzo Abe, whose grandfather was PM when the US isolated Japan from China, arrived in Beijing last week for a three-day state visit. This was Japan’s first formal bilateral summit with Chinese leaders since 2011 and the first in an era of US regional uncertainty under the Trump administration. US President Trump is acting as an “accelerant in the unwinding of Pax Americana,” driving the two Asian nations closer, one expert says. Abe met Premier Li Keqiang (李克强) on Thursday, and discussed economic cooperation, free trade, and global growth and Japan’s role in the Belt and Road Initiative. The Cold War is hot and the US has ordered its client-state and vanquished former enemy to sit tight on reaching out to communist China. 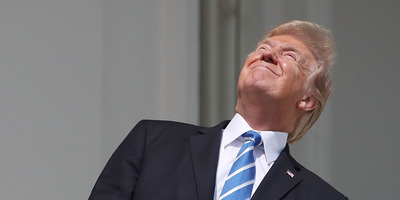 What happens next is “seared into the Japanese psyche,” according to senior fellow at the Lowy Institute and the author of the just-released “Asia’s Reckoning,” Richard McGregor. Post-war Japanese leaders across the political spectrum had yearned to be part of what they thought could be China’s looming economic revival, to staunch the still open wounds of the unresolved – Japanese and American – brutality of the earlier wars and to reintegrate into the Asian neighbourhood. “Through the 1950s and 60s, Japan had never stopped wanting to reach out to the PRC and recognise the PRC,” MacGregor says. But the US always stepped in. And then, in the early hours of July 9, 1971, as history more loudly remembers, Dr. Henry Kissinger, the US President Richard Nixon’s national-security adviser, flew into Beijing from Pakistan on a top-secret mission of détente. “I think they literally gave the Japanese government an hour’s notice before president Nixon announced on live television Kissinger was on his way back from Beijing,” MacGregor recently told the Sinica podcast. “It sounds like it’s a long time to hold a grudge, but this is an absolutely fundamental issue of national interest in Japan. They felt screwed over by their ally – and they don’t forget that,” McGregor adds. 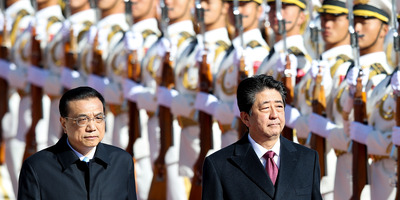 Lintao Zhang/Getty ImagesJapanese Prime Minister Shinzo Abe (left) and Chinese President Xi Jinping (right). 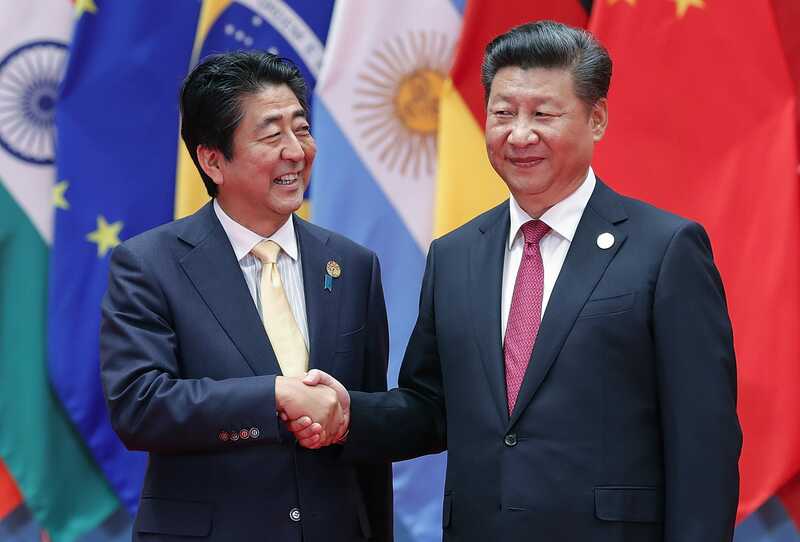 Shinzo Abe surely remembered this US backsliding better than most when he met Xi Jinping on Friday night in Beijing, as both nations face US tariffs and escalating trade tensions. Abe’s grandfather was the 37th Japanese prime minister, Nobusuke Kishi, and his father was also the Foreign Minister Shintaro Abe – both inheritors of Nixon’s legacy. Most analysts predicted that Abe and Xi, both very strong leaders with dominant, nationalist leaning personalities, were likely to sideline their very real historical and territorial grievances – like when Japan nationalized the contested Senkaku (Diaoyu) islands in 2012 – and focus instead on creating a more binding economic relationship. But now, with an unreliable partner in Washington seen to be undermining Pax Americana in the Pacific, both leaders had the entirely unexpected chance to shore up and reshape their shared opportunities while the US is making itself so difficult to trust. “Trump is an accelerant in the unwinding of Pax Americana,” according to McGregor. Since his election Trump has reassured Japan of America’s commitment to defend Japan a total of 28 times, according to data out of Japan’s foreign ministry, McGregor adds. And with its own economy feeling the pinch from its headline trade war with the US, China was keen to eke every drop of investment it could out of Japan, which will work just fine for Tokyo, which is itself vulnerable to any external whacks that might destabilize its export-dependent economy. The last time a Japanese prime minister visited China was seven years ago, under the leadership of the Democratic Party of Japan, which has shown a more conciliatory hand to Beijing. A number of lingering disputes have always presented one challenge after another for high-level exchanges between the two countries. These include, but are not limited to, unresolved territorial questions, the role of comfort women during the second Sino-Japanese war and right-wing Japanese textbooks that gloss over Tokyo’s wartime aggression. “None of these issues have been resolved. Not even close,” according to Macquarie University’s Dr. Kevin Carrico. For once, it seems Xi does not necessarily have the upper hand. “The CCP regularly stokes and manipulates anti-Japanese sentiment and has done so very regularly over the past decade and a half, as a way of letting off steam in society. This works well domestically, but of course has real implications for the bilateral relationship,” he told Business Insider. “Could there be an attempt on Xi’s part to strengthen Sino-Japanese relations as a buffer against new pressures coming from the US? Perhaps, but I doubt that Abe would play along with that,” Dr. Carrico said. Andrew Chubb is a postdoctoral fellow in the Princeton-Harvard China and the World Program, based at Princeton University. An expert on the relationship between Chinese public opinion and PRC foreign policy, Chubb told Business Insider that Shinzo Abe’s visit last week should confirm Abe as Japan’s “ultimate pragmatist” prime minister. Chubb said that the Japanese analysts he has put to the question expected Abe to refrain from pursuing constitutional change, which would provoke China. “We know he believes strongly in that agenda, so if he leaves it aside that’s another manifestation of pragmatism,” Dr. Chubb said. Abe arrived in Beijing on Wednesday to kick off what was to be a three-day state visit. 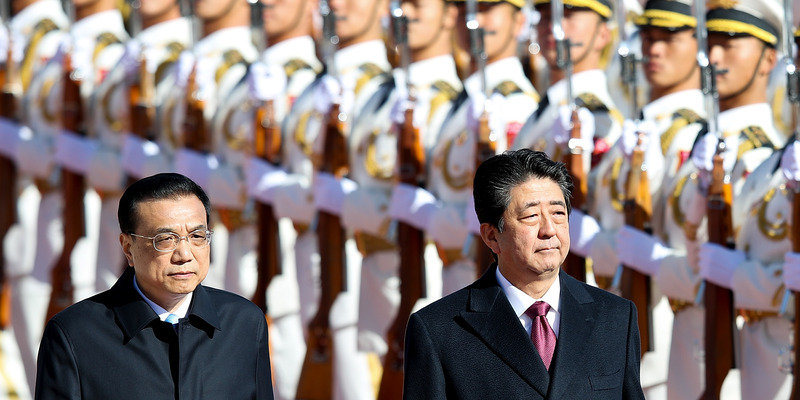 It was Japan’s first formal bilateral summit with Chinese leaders since 2011. Abe met Premier Li Keqiang on Thursday, and discussed economic cooperation, free trade, and global growth and Japan’s role in the Belt and Road Initiative. According to the South China Morning Post, Abe dined with Xi Jinping Friday night, after further talks with Li and a visit to Peking University in the afternoon. A business delegation of around 500 industry leaders was under Abe’s wing and Reuters reported 50 fresh memorandums of understanding – across auto, energy, health care, and finance were expected to be signed. Japanese heavy industry is among the once-lauded sectors that finds itself facing ever-increasing pressure from US military imports as both Chinese and South Korean firms make strides with their own commercial shipbuilding. Earlier this month, Japan launched its latest line of attack submarines capable of competing with China in the increasingly crowded Pacific waters, highlighting just how pragmatic Abe can be and how an erratic US has made very odd bedfellows out of Abe and Xi. Burdened with historical baggage, anxious about China’s growing naval power and hungry for its closer economic support, Abe finds himself having to manage a delicate kind of rapprochement that could threaten to upset its volatile and central security ally, the United States of America. Bill Bishop is an American author and producer of the Sinocism newsletter, he told Business Insider that no matter what curveballs the US president may have up his sleeve, for now Japan and the US will remain allies and this trip, historic and unique as it was, won’t change that.